The RAM-B-201U-A is a Short Double Socket Arm for B Size 1" Ball. The Short Double Socket Arm for 1" Balls is the perfect addition to your set-up for your next adventure. 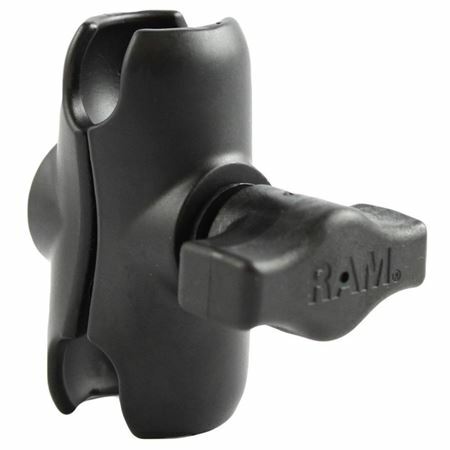 The RAM-B-201U-A, Short length double socket arm, has a socket at both ends that accommodates B Size 1" balls. RAM's socket technology allows for almost infinite adjustment to achieve the perfect viewing angle.